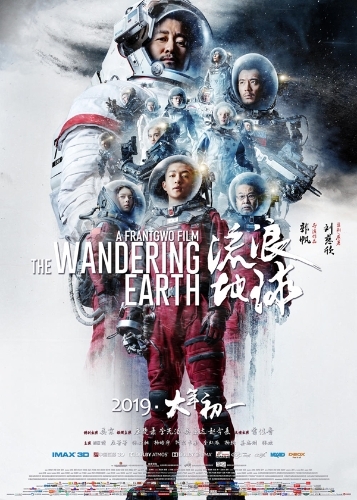 Shanghai landmarks collapsing in earthquakes, extreme weather and tsunamis that reduce the world's population by half, Earth about to collide with Jupiter, a Chinese sci-fi blockbuster with daunting and unusual settings hit cinema screens Tuesday. China has the world's second-largest film market, with a box office reaching 55.9 billion yuan (about US$8.05 billion) in 2017. As a high-grossing film genre, sci-fi movies in China are mostly Hollywood imports.